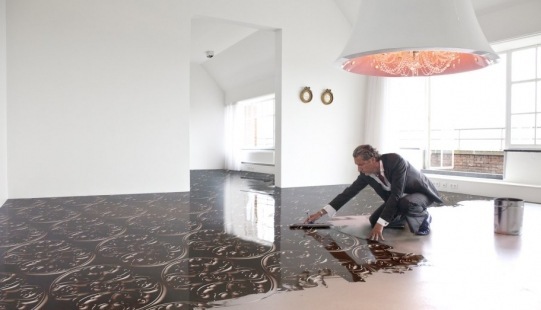 Dutch design legend, Marcel Wanders, has collaborated with Senso on a new line of flooring Called “Impressions”. ‘It’s more about the texture than the color,’ says Wanders. ‘Some of them look almost edible, like chocolate.’. That said, the colors are bright and the effect of three-dimensionality rather impressive. 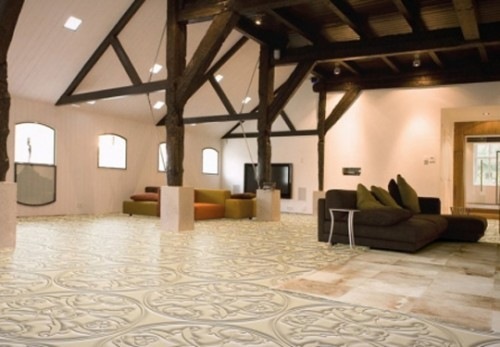 Senso, the firm behind the flooring, is a leader in advanced resins flooring. The Impressions range is based on Senso’s advanced Freeze™ technology, which represents the ultimate goal in resins: crystal clear polymers. Traditional transparent resins use adhesives, binders and fillers that all leave colored traces, resulting in a yellowish look. For Freeze™, Senso has found alternatives reaching a clarity average of 99.3%. 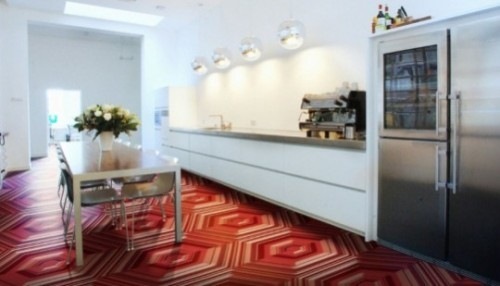 To allow for larger floor areas, new techniques have been invented that remove the traditional barriers of size and format. 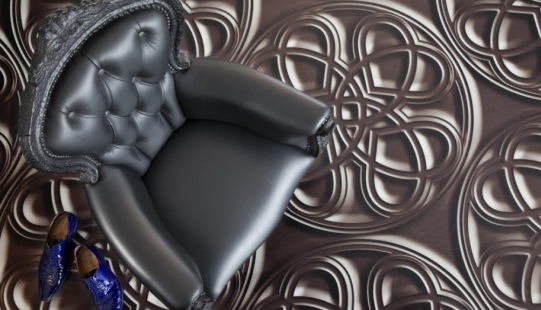 For Impressions, Studio Marcel Wanders has added a whole new dimension – optical illusion – and formed the appearance of three dimensions within a flat floor surface.